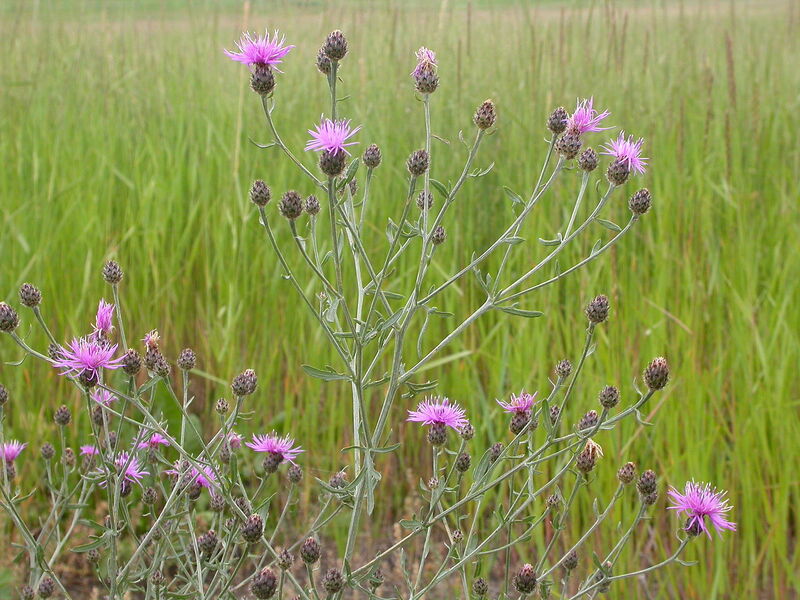 Centaurea maculosa plants. commons.wikimedia.org (Accessed 12/2017). 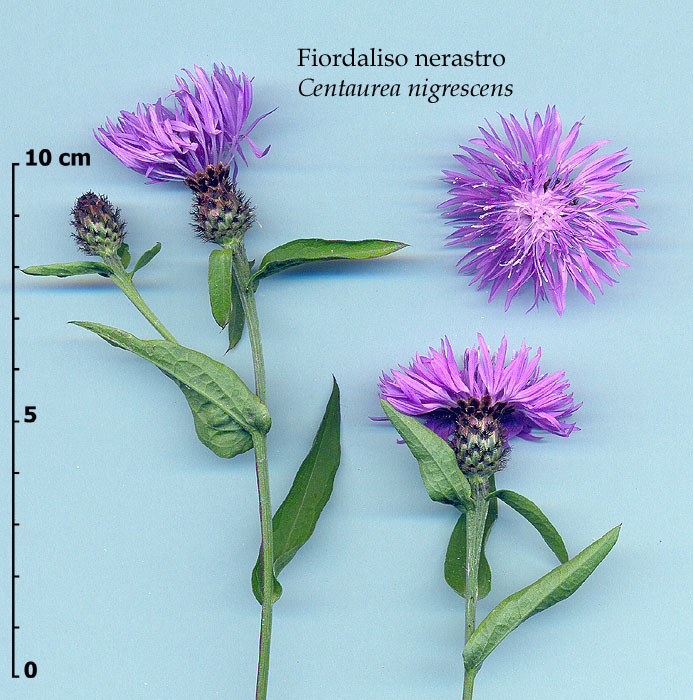 Centaurea is a genus of herbs. 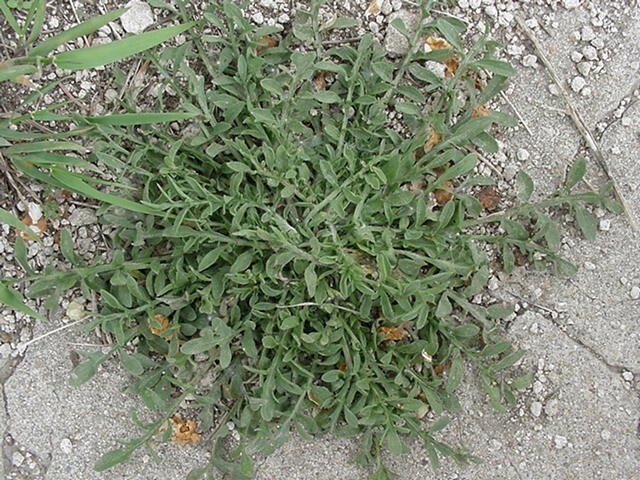 Centaurea maculosa basal rosette. T. Breitenfeldt. War on Weeds. mtwow.org (Accessed 12/2017). Leaves initially in a rosette, stem leaves alternate (ours). Flowers blue-purple to pink (ours), all disk flowers (discoid) with long petal lobes but often the marginal flowers larger and irregular; basal bracts in several, overlapping rows, dry, membranous, margins fringed or ragged, expanded top of flower stalk (receptacle) with dense bristles. Centaurea maculosa achenes. Invasive Plants of the United States.USDA Forest Service. Forest Health Technology Enterprise Team. Morgantown, WV. www.invasive.org (Accessed 12/2014). 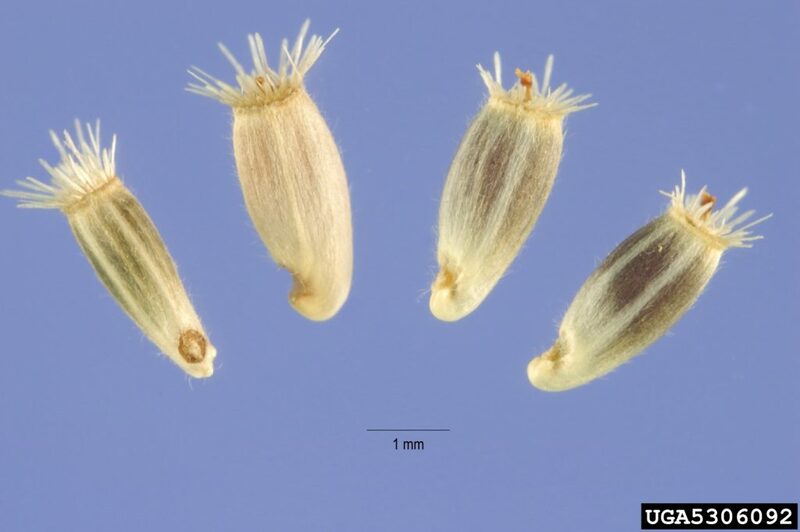 Fruit dry, 1-seeded (achenes), with or without a fringe of bristles. Origin: All of ours are exotics; many invasive.